More photos of Taylor posing for a portrait session at the Winter TCA’s have been added to the gallery as well as some photos from the Los Angeles Times shoot, thanks to Jen for picking these up! 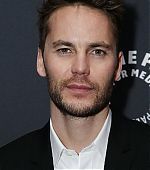 I have added photos of Taylor from three events he’s done this year promoting ‘Waco’ to our image gallery. “I think I was in too deep,” the actor says of portraying the cult leader. 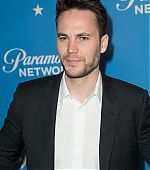 Taylor Kitsch nearly reached a breaking point while prepping for his lead role in new TV miniseries Waco, about the events that led to a now-infamous standoff between cult leader David Koresh and the FBI back in 1993. In the end, Kitsch did push himself past the point of uncertainty to play Koresh, but not before really working to understand the man who has been called a con artist by some and crazy by others. 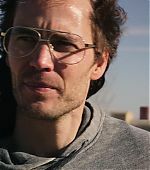 In the Paramount Network’s miniseries, Kitsch plays Koresh, a man who claimed to be the final prophet of the Branch Davidians religious movement. He and 25 followers set up camp at Palestine, Texas, 90 miles from Waco, in 1985. There, they lived in tents and buses for two years with no running water and AC. 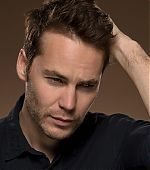 Watch the video above and see what else Kitsch had to say about playing the polarizing figure, continued debate over the standoff, his recent encounter with Bruce Springsteen and Bono, plus his thoughts about ever reprising his role as Friday Night Lights heartthrob Tim Riggins. The series also stars Michael Shannon as lead FBI negotiator Gary Noesner, John Leguizamo, Paul Sparks, Rory Culkin, Melissa Benoist, Andrea Riseborough and Julia Garner. Waco airs on Wednesday nights at 10 p.m. ET on Paramount Network. I’ve added captures of Taylor from the premiere episode of Waco to the image gallery. The actor talks with THR about how he overcame misfires ‘John Carter’ and ‘Battleship’ and, yes, weighs in on the long-rumored ‘FNL’ movie. 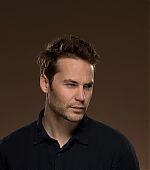 Taylor Kitsch has played real-life figures before, but none quite like David Koresh. The leader of an extreme offshoot of the Branch Davidian religious movement — who perished along with 81 of his followers during the infamous 1993 raid on his Waco, Texas, compound — is one of the most controversial names of that decade. For Kitsch, who has spent the majority of his career playing the hero, bringing such a dark and complex individual to life presented an opportunity to prove his mettle as an actor. It’s the kind of transformative role that, if received well, can pay career dividends down the line. 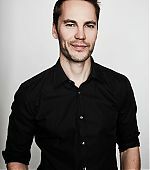 Still, Kitsch’s choice of roles over the past several years has demonstrated a growing willingness to take risks as an actor. 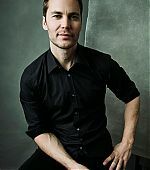 After crashing and burning on the blockbuster circuit, he refocused on his craft, taking roles in HBO’s True Detective season two and in Ryan Murphy’s star-studded TV movie The Normal Heart. 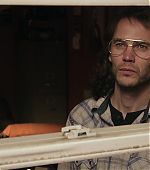 Even more than those projects, Waco — created by John Erick and Drew Dowdle (Quarantine, Devil) and co-starring Michael Shannon as FBI negotiator Gary Noesner — represents his most earnest stab at professional respectability yet, and Kitsch clearly understands its potential to launch his career in a whole new direction. In advance of Waco’s Jan. 24 premiere, Kitsch talked with The Hollywood Reporter about humanizing a modern-day bogeyman, navigating the show’s unfortunate Weinstein Co. connection and why he’ll never take part in a Friday Night Lights reunion. 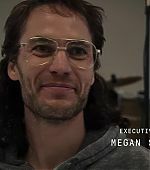 David Koresh is someone who has been demonized in the public imagination, and you have the unenviable task of making him sympathetic in some ways. In researching who David was, what did you learn about him that surprised you or challenged your perceptions? This whole event really was just an amalgamation of ego, and one wrong decision after another on both sides. And obviously posturing in the worst way. I had no idea he was the musician he was, and his mom was 14 [when she gave birth to him], he was abused growing up. Obviously, that lends a hand to a lot of other things in shaping his own mindset and how much he wants control over his own environment. Hence him creating his own environment. And not just with scripture — with the wives, with how he would test and manipulate, and how shifty he was. Someone who memorizes the Bible by the age of 16 or 17, there’s something there that needs to be dealt with. That’s really what I focused on, him blatantly overcompensating for things that maybe he felt he never had as a child by creating that environment. We kept going back to that purpose, and I think that’s what is relatable to anybody, religious or not, believer or not, everybody searches for this purpose. [It’s] something to wake up to. Whether it’s as mundane as losing five pounds, or if you want to do a 180 in your life. And I think from my experience, reading and talking to [David] Thibodeau [the author who wrote the book on which Waco is based] and [lead FBI negotiator Gary] Noesner, Dave enabled that [for others]. And that’s a huge thing in my own life, having a sense of purpose every day. That kept coming back to me. You talk to Thibodeau, his drummer whom he recruited from L.A., to these people that were under Dave, to the letters, to the recruitment tapes, he gave them that, and in return he got that back as well. He was the Lamb of God. If he had nobody to give that message to, his purpose dissipates to nothing. Did you talk to any of the former Branch Davidians in doing your research? Absolutely. We had Thibodeau [who was one of the nine surviving Branch Davidians] on set every day I was on set, and I’ve read his book I don’t know how many times now. I was actually going to go visit him, and a snowstorm stopped me. He lives in Maine now, and he was Dave’s right-hand man, or one of them, and [his] lead drummer. And his stories are enthralling. He helped me mentally, from like my 2 a.m. texts to him while we were shooting to improvise the Psalms that Dave liked to have. There’s a beautifully tragic scene when Dave gets shot at the door twice and another man that was beside him gets shot, his father-in-law, and he ends up dying in the compound a couple days later. I asked Thibodeau and [Waco exec producer] John Dowdle to give me some kind of simple, beautiful Psalm, something you could hear Dave saying to this man on his deathbed as he asked to be released from everything. You’re an executive producer on Waco. What was the extent of your involvement behind the scenes? It was quite a bit. I loved it. You always want that creative outlet and to be heard. This is probably top three, if not the most fulfilling creative outlet I’ve ever had as an actor, just because of that environment. loved batting ideas around with producers and the cast. The Weinstein Co. produced the show, though the company’s name has now been removed from the series in the wake of allegations against Harvey Weinstein. Were you shocked when that story came out? Yes. I’d never met Harvey. I had literally no idea. He never came to set. He was more involved in packaging the show. Having worked in Hollywood for as long as you have, is it one of those things where you’d heard rumors about him? How surprised were you when all of that came out in the press? When you read those stories, you’re dumbfounded — or I was. I had no idea. I’d never worked with him. Whether you’re in the business or not, you knew he was a powerhouse guy who could throw his weight around in the room. I knew he was a ballbuster in the sense of negotiations. In addition to executive producing Waco, you’ve got a movie called Pieces that you’re set to write, direct, produce and star in. How much of that has to do with previous points in your career where you were the star of projects that were perceived as disappointments, that you didn’t really have a hand in aside from being an actor. Is this your way of trying to take more control of your career? Yes. The story of Pieces wasn’t derived out of “failure” of a box-office movie; it was a story that I would have written if John Carter made a billion dollars. It’s a story that’s been in me that I feel I just had to get out. I think any artist wants that creative control and that challenge and to work with great people like Pete Berg [with whom he worked on Friday Night Lights] and Taylor Sheridan. Being behind the camera will make me a better actor as well. It’s part of my growing process — and that’s a big reason to [play] a [character like] Koresh. I take a lot of pride in playing such different guys, and I love that challenge. When films like John Carter and Battleship don’t work in the way that they were intended and you’re the face of the film, you take the hit for its failure in a lot of ways. After those movies came out, how responsible did you feel for their failure? It stings. You want your voice to be heard, or you feel you’ve done everything you’ve can. If you’re the face of the franchise, you feel bad not just for yourself but the other cast and the whole process. Nobody goes out to make a movie to not do well. I put everything I had into it. The worst thing would be to look back and [think], “Man, maybe I should have prepped harder, maybe I should’ve done x.” You just don’t want to regret anything, and I don’t really have that. In hindsight, I wouldn’t be near the actor I am today if those movies did start raking in money. Because I signed two three-year contracts, more or less. I was on two multifilm deals with Battleship and John Carter. I’d be going into my late 30s just going back and forth with these franchises. I wouldn’t be the same actor I am now, because I wouldn’t have taken the risks, or I wouldn’t have the time to take the risks either. So, it’s a blessing in a way. I said from day one that I don’t want to play him again. Was there ever a time where you considered stepping back into that beloved role? No. I mean, you play a guy for four-plus years, and I feel we dived into it enough and explored that whole thing of not just Riggins but the stories in Dillon, that I don’t know, I have such great closure and I think it ended on such a beautiful note that it’s just like, I honestly don’t know the point of doing it again. I have to look for new challenges as well. How would you feel if they did end up going ahead with it without your involvement? I wouldn’t be up in arms for a quarter-second. I would wish them all the best, and I would be curious and watch it. I’m grateful for that time. I know it was a springboard for me, and Friday Night Lights has got such a cult following. 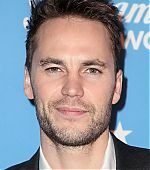 People still stop me all the time on the street to talk about Riggins, but I think it’s sometimes a beautiful thing just to let it be and realize that that was a time in your life where you grew as a person and as an actor. We had such a great set, and I still have amazing relationships with Kyle Chandler, Connie Britton and Derek Phillips, and that’s what I’ll take from it. There’s no point for me to just relive something that feels like it went off into the sunset in the right way. 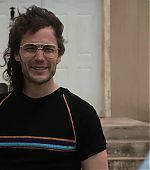 It took Taylor Kitsch time to wrap his head around how to play David Koresh in “Waco,” the Paramount Network’s new six-part series about the siege of the Branch Davidian compound in 1993 that ended in fire and death. John Erick Dowdle and Drew Dowdle. the executive producers of the series, say in casting someone to play Koresh they needed somebody who was likable, fun and warm to be around but who could then play the dark sides of his personality. For the role, Kitsch lost 30 pounds, studied guitar, learned to sing and studied Scripture. The Dowdles gave him audio and video of Koresh, of which there is plenty. Still, the key was trying to figure out how to humanize Koresh. As a child, Koresh was a victim of abuse, but that hardly explains everything about him. As Kitsch points out, Koresh had memorized the Bible by the age of 16 and would go on to publicly debate serious religious scholars. His speaking abilities attracted devoted followers who believed him to be a messiah. The Branch Davidians believed that end times were near. Koresh told followers that a revelation instructed him to take multiple wives, so that he could father enough children to sit on the 24 heavenly thrones described in the Book of Revelation. “You know, it’s difficult to write a character who tells everyone that they have to be celibate – but he’s going to be sleeping with their wives – and not make it sound ludicrous,” says John. That wasn’t all. The sect leader reportedly chose multiple “wives” for himself from children as young as 11. There were also charges that Koresh physically abused children as a form of punishment. Thibodeau (played by Rory Culkin in the series) actually met Koresh at Guitar Center in Hollywood a few years before the siege, a fact that the Dawdles loved but logistically weren’t able to work into the show. The sect leader had a cover band – you see them playing The Knack’s “My Sharona” – and Thibodeau was a drummer. February 28 will mark the 25th anniversary of the U.S. Bureau of Alcohol, Tobacco, and Firearms’ raid on the Mount Carmel compound, about 10 miles outside of Waco. The Branch Davidians had been there for years, but under Koresh they had built up a store of weapons and paramilitary gear that began to draw the attention of the government agency. The raid turned out to be a fiasco. Four ATF agents and six Davidians were killed during the two-hour firefight, and when the agency failed to take the compound, the FBI moved in and began a siege. Both sides were dug in by the time FBI agent Gary Noesner (played by Michael Shannon) arrived at Mount Carmel to try to negotiate a peaceful outcome. “I couldn’t get David Koresh and my on-scene commander to act reasonable at the same time,” Noesner says. The 51-day siege ended on April 19 when the FBI made a final assault to remove the Branch Davidians by force. During the fight, the church building caught on fire, and 76 people inside died, including Koresh, his “wives,” and children. The reasons for the assault and what happened exactly remain in dispute, but the tragic event was cited by Timothy McVeigh and Terry Nichols as a motivation for the bombing of the Federal building in Oklahoma City bombing exactly two years later. CBS has already done a documentary about the event, and A&E is planning one that will air later this month. The Dowdles are wondering what the reactions will be to the series after it premieres Wednesday on the Paramount Network, which had been known as Spike until last Friday, and whether it will draw debate. “So far the people we’ve worked with on both sides say that they appreciate us telling their story, but that the other side was worse,” says Drew. What: Six-part series about the siege of the Branch Davidians compound in 1993. When: Premieres 10 p.m. Wednesday.